After spending two weeks in Mactan, we decided to travel to another island called Cabilao. There we stayed at Cabilao Sanctuary Beach and Dive resort. It’s a very beautiful and quiet resort which we highly recommend, especially for passionate divers (also Tec divers). 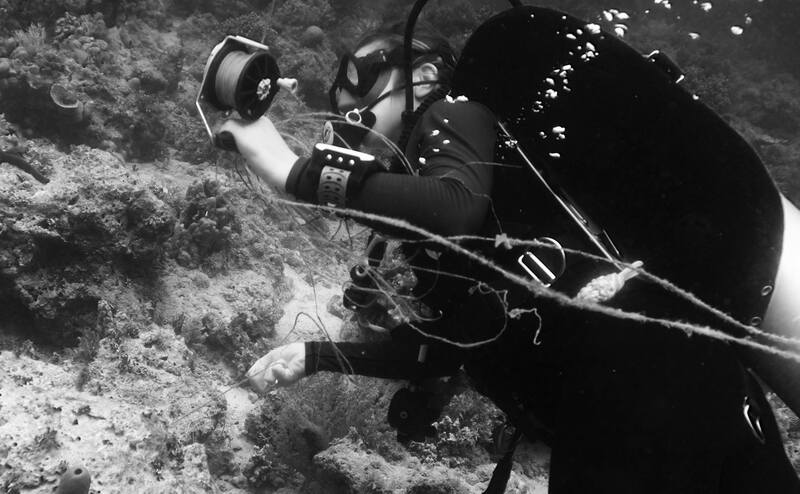 The reef is in excellent condition, and well preserved. 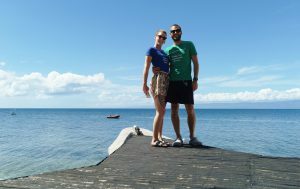 We met Julien and Lucy, the owners of the resort, which told us a few things about their waste management. 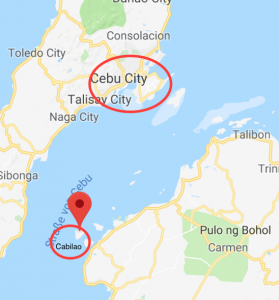 Cabilao is a very small Island without any infrastructure for waste management, so all the trash has to be brought back to Cebu. 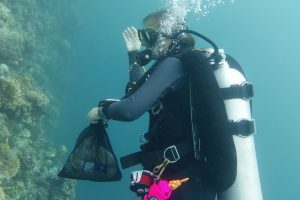 Therefore, the aim to use as less plastic as possible is high. Here also, they use metal straws. 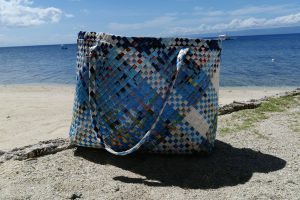 Besides that, every bungalow has a beach bag, made out of recycled rice and feed sacks. A very good way to reuse plastic, in addition, it gives people work and sustainable income. For more information about this project, please have a look at their homepage. Lucy told us, that they empty their stock of plastic bottles at the moment, but the plan is to use a better alternative after. She also said that it is very hard to fight against the plastic pollution here. First of all, many people are not sufficiently educated and don’t understand the problem of pollution. The locals on the island, for example, burn their plastic waste in their backyard. But that’s not just because of their lack of knowledge, it’s also because they have no other choice. You can’t do more than the infrastructure allows. The locals might not have the money to ship their trash to a bigger island where it could be taken care of. We still couldn’t find out about the recycling opportunities here. Many locals we asked, only know the landfill. But they’re all unsure if the trash they segregate will be properly recycled.